We're already working hard on next year's golf outing. 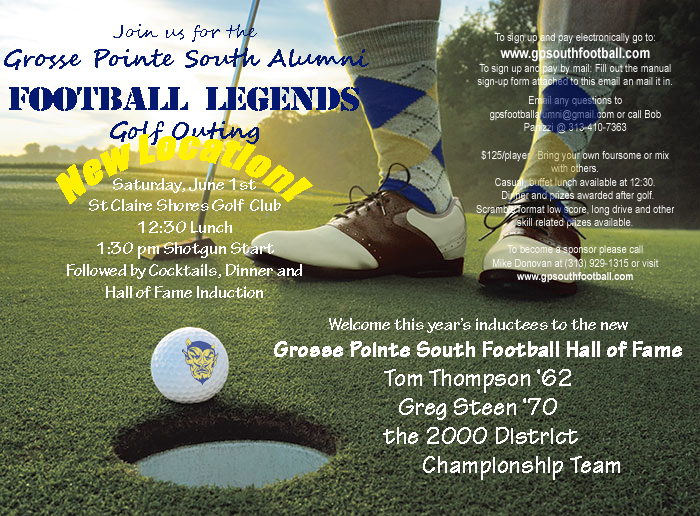 Please send us your name and contact info to gpsfootballalumni@gmail.com so we can make sure you get an invitation to the next South Football Legends Blue Devil Golf Outing. Join us for dinner. Includes cocktail reception, dinner, desert and the Hall of Fame Induction.